LMS Chairman: A new liturgical gesture - the camera? 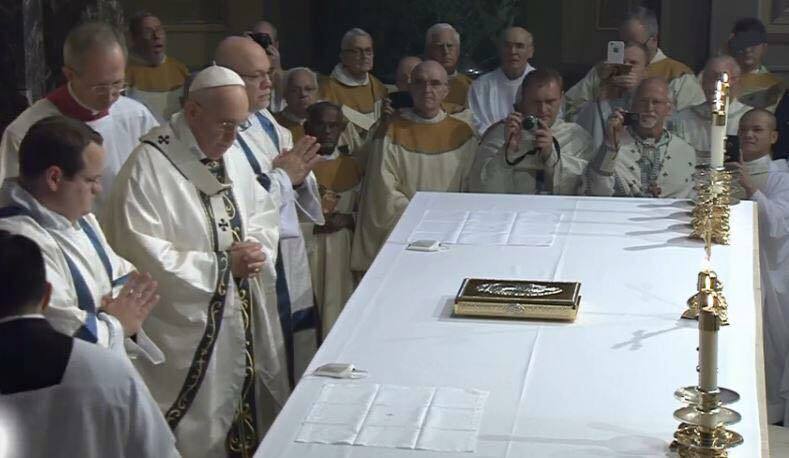 "The Mass isn't about God, you see, it's about ME, ME, ME!" "Celebrating mass now. Passing chalice to pope as we speak. Looks shorter in person. LOL. Luv U. Home by 7." Idolatry is simply the worship of the work of one's own hands. 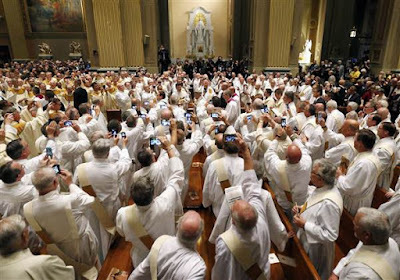 Selfies, and photos of those whom one is with, whether at divine liturgy or elsewhere, also qualify. Is this so hard to understand. Even with Roman Catholic so-called priests?